Infant Stimulation Cards - New at the BrillKids Store! - . :Early Learning Community:. 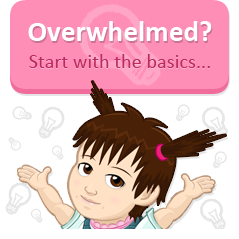 BrillKids Forum > BrillKids Announcements > Infant Stimulation Cards - New at the BrillKids Store! Infant Stimulation Cards - New at the BrillKids Store! Introducing the BrillKids Infant Stimulation Cards! It's as simple as black and white... and maybe a little red! Research has shown that the secret to infant visual stimulation lies in high-contrast colors, and that presenting your child with black and white images from 8 to 12 inches away will provide the visual stimulation your child needs to build brain connections. Get a set of these infant stimulation cards and start stimulating your baby visually! As a special introductory offer, we're offering the new BrillKids Infant Stimulation Cards at 25% off the original price! Get them for your child or child-to-be, or even for your friends who are new-mommies and new-daddies! It's the perfect Christmas gift for all of your friends with newborns! Re: Infant Stimulation Cards - New at the BrillKids Store! I would recommend showing your child words in all sorts of different forms - on screen, on flash cards, on books, on signs, written out on a doodle board, etc. etc. The whole idea is to tell them that words can appear in many different forms - it's got nothing to do with the color or size or font or how it's written. I just printed some off and can't wait to use them with my8 month old. I know Paloma loved them, now at six months we flash them to her. We use the set from the Doman book. We also use them for tracking. The first set we had for her we printed from this site. She really would look at them. Really nice and interesting post. I was looking for this kind of information and enjoyed reading this one. Keep posting. Thanks for sharing .